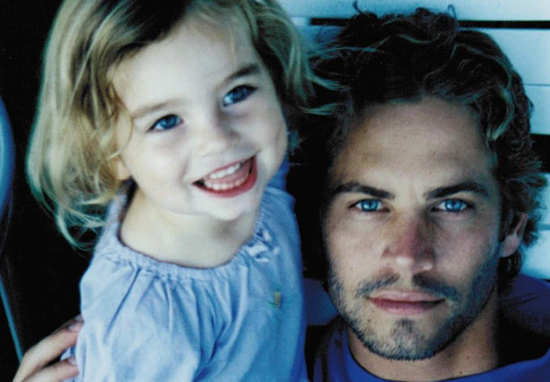 Paul Walker’s daughter Meadow Walker has shared a number of beautiful tributes to her late father in recent months. The now 19-year-old has her father’s piercing blue eyes and is a credit to the The Fast and the Furious actor, who died in a car accident in 2013 after leaving a charity event for the victims of Typhoon Haiyan (Yolanda). Paul was only 40-years-old at the time of his death but had already touched so many lives, both through his extensive acting career and his charity work. He was the founder of the organisation Reach Out Worldwide (ROWW), which helps to provide relief efforts for areas impacted by natural disasters. Meadow has mostly stayed quiet on social media and shies away from the limelight. But her tributes have struck an emotional chord with Furious fans and cast members alike, who were quick to offer their compliments and support. Hello angel. Sending love and light. Happy holidays!! The teenager has recently been encouraging her followers to make random acts of kindness. She joined in the trend herself by taking food to a local homeless shelter. The photograph received over 95,000 likes and fans described her as a role model. And they were right to do so. Walker was not part of the latest instalment of the series, The Fate of The Furious which opened last year. It seems that Meadow inherited his kind heart and passion for conservation. In 2015 she set up The Paul Walker Foundation in his memory, an organisation that helps to protect oceans and wildlife. We just know that Paul would be proud of his daughter as she grows into a caring adult.